Hi Liha! How would you describe your brand? What inspired you to set up Liha, and what did you both do before? We both knew we wanted to do this since our university days in 1998, but life got in the way! I’d studied English with American studies and moved back to Cheltenham from London when my daughter was born, where I ran a successful art publishing business. Abi had studied politics and sociology and had a career as an Olympic athlete, but we had both always had been making natural beauty products on the side. When Abi had retired from athletics, we just knew it was the right time. All along, the little voices in the back of our heads would not go away! We finally gave in to it and took the leap from totally different fields. It was worth it. Initially, we tried to do a soft launch to test the market, but the demand was so great we just had to keep pushing and it forced us to develop quicker. At the moment we are raising investment, and it is exciting to pause, map and regroup, as we take each step in growing our brand to the next level. What is the ethos behind your business? Minimalism is key - buy less, and choose well. This is why we make all our products multi-purpose and don't inundate people with new product lines, which can be commonplace in the beauty industry. We also take a lot of inspiration from family - we describe Liha as 'natural African roots with a quintessentially British attitude’. My mum is an English aromatherapist, and the unique mix is what makes us stand out. Much of our aesthetic - an extreme minimalism with African touches (what we call ‘Afro-Scandi’) - comes from my dad. He came from Nigeria on an engineering scholarship and ended up hitchhiking around the world in the early 60's, nearly settling in Scandinavia. There is a West African philosophical concept, Asé-Ase, by which you conceive the power to make things happen and produce change. It’s somewhat similar to the idea of Chi. We want to show people how to take self-care to Goddess levels and keep that Asé up! All our products take a while to become familiar with - you can find your own unique ways of using them, or even make your own creation with them. They also force you to slow down – for example, it takes time for the Idan oil to melt, and you have to really work the shea butter into your skin. Our values are also influenced by political crops and sustainability – the medicinal plants that grow in West Africa have huge potential in the west, with the correct legislature and scientific testing in place. We are aware that most people don’t associate West Africa with beauty secrets, but introducing people to shea butter is just the beginning. There’s a wealth of ingredients that have yet to be introduced to the western world which are centuries old, and tried-and-tested. A big reason we want to scale up our business is to be a true innovator in our field, by showcasing these new ingredients and wellness secrets. As we grow, we hope to transform what has been a traditionally destructive trade route (oil, gas) with new socio-economic cooperatives for West Africa. How do the two of you work together, day-to-day? We’re like Yin and Yang, and we work together really well. Abi is super-practical and I am more ‘head in the clouds’, but we are both very creative. We can talk about a tweak to packaging for literally months, and are both obsessive and perfectionists in different areas, which is a plus! Abi is amazing at visual merchandising and keeping up with the industry news, and I am always hunting for new ingredients and experimenting with mixes. Day-to-day, I live in Cheltenham and Abi is in Hackney, so we are constantly texting back-and-forth, but it really is essential to have face-to-face meetings as well, as that is when the ideas really start flowing. Our workspace is in Queens Park in a wonderful place called Kindred Studios. It’s a former college that has over 170 artists and makers in studios, spread out over two huge buildings. Every so often there are open studio days for visitors to look around and buy, which is a wonderful way to meet customers. In true 80s movie style, the developers are trying to move in on the building, so the artists, makers and supporters are all coming together to try and raise money to buy it back - hopefully this arts haven will stay safe a little longer. Do you have a background in health and beauty? In African Yoruba culture, making your own cosmetics is something natural that you learn at the same time you learn to cook. My mum studied aromatherapy, and my parents had shops that I grew up living above - she would test me from about the age of 8, so I've been learning a long time! My first job was in the Body Shop in 1996; Anita Roddick came and said ‘hi’ and I nearly fainted! Then I worked for SpaceNK when I went to Uni in London - it was my mecca before online shopping, it was the only place to get cult beauty products. I’ve studied the industry for years, so when I saw there was still a gap for the idea we had been brewing for so long, we had to jump. We sell in Being Content in Marylebone, Glow Bar, lots of other lovely independents. We also have a stand on Broadway market every Saturday which works as our shop for now, and we have a huge and very exciting new stockist we will be announcing soon! Everywhere! We try to make time to step away from working constantly, to enjoy the smaller things and let the ideas flow. I love the luxury of taking an afternoon to go to the cinema, and Abi is always losing herself in novels. It's an obvious answer, but we both love to travel too, and meditation or just good old daydreaming are essential for any creative person - and we get loads of our ideas from these! What are the joys, and challenges, of being an independent maker? The joys are when people say how much they love your products - that never gets old! The challenges are having to ‘make’ on top of everything else, and feeling like you never have enough time! Which products do you most love making? Our Ose Gidi Black soap, because it took so long to perfect the recipe and now it is absolutely spot-on. It smells phenomenal, and always takes me back to being in our kitchens or our first tiny studio in Cheltenham with no windows! It was so hard to make at first, but now it’s second nature to us. It’s so nice when you can see your hard work pay off like that. Do you hold workshops and events? We do bespoke workshops for up to 15 in which we teach the absolute basics of making with shea butter, these can be booked through the website. It's great to inspire people to start their own journey and give them a crash course in aromatherapy. 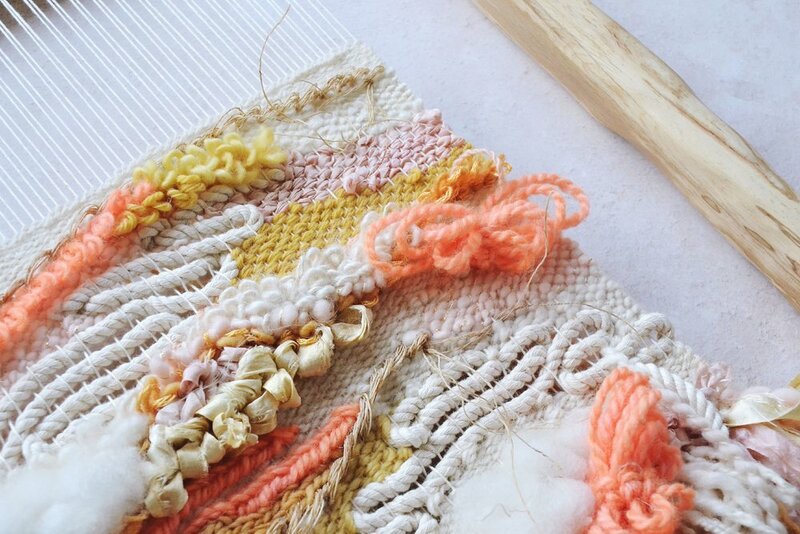 It’s amazing how much people bond, relax and open up when they are crafting with their hands. At the moment we are sourcing from a number of different ethical places. In Ghana we work with the Shea Cooperative, and the Nigerian shea comes from Abi's dad's town, so we know exactly where it’s coming from. As we grow, our goal is to have our own farms and cooperatives in West Africa. What have been your highlights for Liha so far? All of it! We wouldn't change one bit of our journey, even the tough parts. We are not as good at posting as we should be, but we love Instagram. I’m not so keen on the algorithm but it’s a great community for wellness and makers. Our social media followers are all very valuable to us and we believe in quality over quantity. What does the next six months hold for Liha? We have some really exciting things coming up and we are growing pretty fast, so keep checking back for social media updates @lihabeauty. Any creative pastimes or hobbies? I play music in my spare time, and Abi and I both write. Abi loves photography and we are both massive bookworms. Dancing around naked every so often is also a must for me to stay sane! We have been lucky in that we have never had to chase, and all opportunities have come to us directly through the website or via Instagram. Any advice for makers starting out? Just jump in and crack on! Trust the process and you will find your path. Describe your work in three words? Satisfying, fun, amazing. What are your making rituals? Loud music (or Radio 4 on peaceful days), old clothes, self-belief, and a little alchemy. Tea or coffee? Tea, always. Night owl or early bird? Abi is a night owl, but I’m an early bird. I wish someone had told me... It's never too late to change direction. As a kid you are taught to find a path and lock on to it. That just isn't how it works, you can always change. Thank you SO much for all the lovely feedback on the AW18 issue - we are so proud that lots of you have said it is your favourite issue yet! :) We recently announced that we are now offering one year subscriptions to the magazine - you can start from the AW18 issue if you haven’t got it yet, or start from the upcoming SS19 issue, out in April. Totally in love with the simplicity of Emily of Aerende’s bathroom, in fact her entire home feels effortless yet thoughtful. Her bathroom also features products from skincare brand La-Eva - whose studio we featured in this issue. Shot by Jon Aaron Green. We ran a gorgeous food feature on preserving in this issue and stylist Sally Meier and photographer Catherine Frawley created these beautiful images - the colours, the textures… so fresh and enticing right?! We visited so many stunning spaces in the AW18 issue - from shops and studios to homes and restaurants. Above is the super cool studio of Lord Whitney - there really is colour, fun and joy in every corner of this creative haven. Beautiful images by Kasia Fiszer. The South London plant lover’s paradise that is Forest also had us swooning and wanting to add another 300 or so plants to our homes! Rachel Warne captured it beautifully. During our trip to Mexico City earlier this year we got the chance to visit the home and studio of Melissa Avila. Her style effortlessly cool, her work immensely humbling. Thanks to Jemma Watts for her company and great photography on this trip. We are in love with this little corner of zero-waste restaurant Silo in Brighton. How dreamy is that slouchy velvet seating?! Another great shoot by Jemma Watts. The home that featured on the cover of this issue is that of Daniela Schinke. She has such a great eye for colour and a wonderful collection of objects around her home. How sweet is that mother and daughter illustration? Images captured by Olinga Ok.
Last but not least, an extra image from our conscious living shoot by Cathy Pyle, styled by Lauren Becker. How much do you want to curl up with a good book in this little spot?! Grab your AW18 issue now, or why not treat yourself to a subscription?! Hi Laura! How would you describe Hero to someone discovering it for the first time? 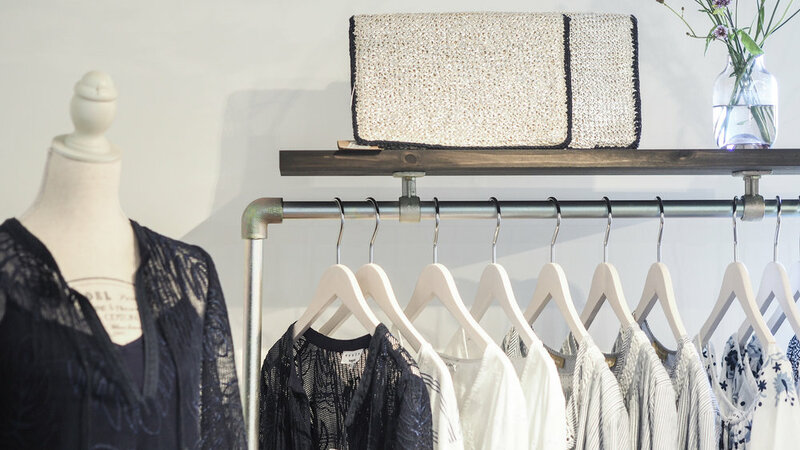 Hero is a bricks and mortar, fashion and lifestyle shop with a passion for creativity. The name derives from our mission to stock wardrobe ‘heroes’ - from jeans and cashmere, to velvet jumpsuits and statement jewellery. We work with brands that we feel have meaning and heart behind their story, and strive to ensure everything you see in the shop is something really special. As well as the retail element of Hero as a store and online, we also have a strong creative community around us, with regular creative workshops and meet-ups to encourage this. Later this year and into 2019 we are also launching a co-working space, so creatives can get together and enjoy the space to connect with each other, or simply get away from their own desk for a change of scene! What inspired you to set up Hero? I always knew I wanted to have my own business, and having grown up in an entrepreneurial family, it felt really natural to me to take risks and be in control of my own destiny. 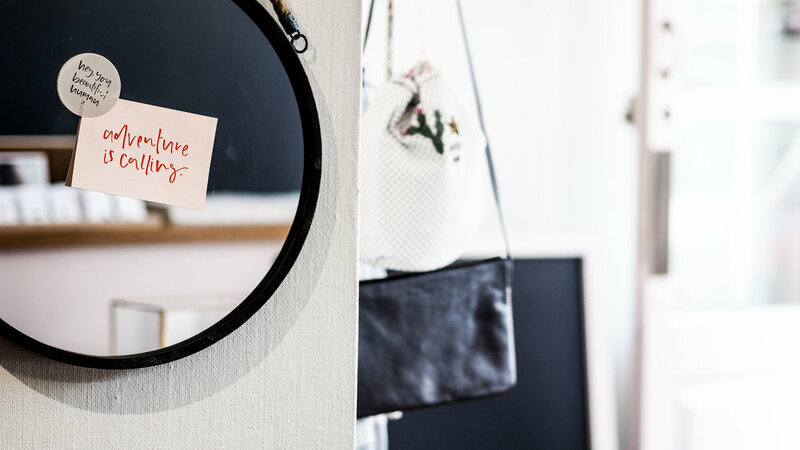 Having a shop or being in retail was never something that I’d set my sights on, but after a corporate career in the city, I knew that such a life was not for me. My curiosity about whether I could run my own business had never left me, so after writing a blog and growing in confidence I took the leap to open Hero. Even then, I knew that it would be more than just a shop on a local high street - I wanted to reach more people, create an impact, and build a brand. Since initially setting up Hero, the business has evolved many times and that’s something I have always been comfortable with. It keeps me on my toes, and also means I can adapt to the economic climate and keep things interesting for my audience. Hero is about the whole experience and how walking into the shop, visiting the website, or attending a creative workshop should always be inspiring. What did you do before setting up Hero? Hero was set up in 2014 and prior to that, I had been a busy stay-at-home mum with my two daughters. Earlier in my career, I’d worked in marketing within financial services. 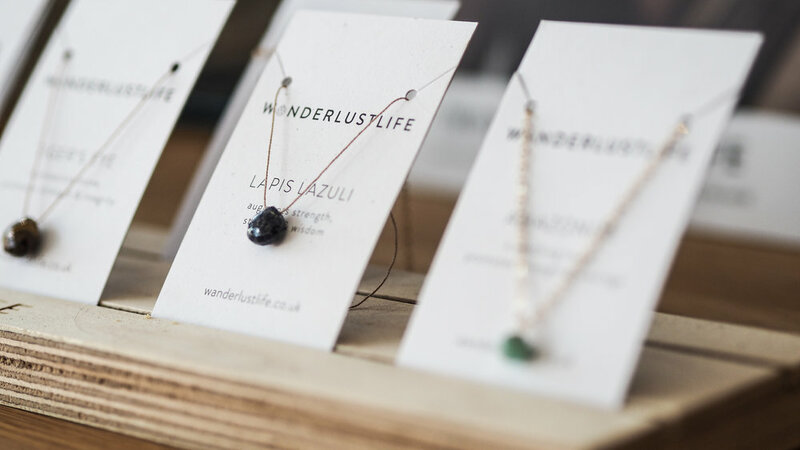 I’d started writing a blog as my own creative outlet when my daughters were quite tiny – I made many valuable connections through this and it really boosted my confidence to open a shop. My main focus for Hero is that when purchasing something, it should always be worth it – it should make you feel incredible. 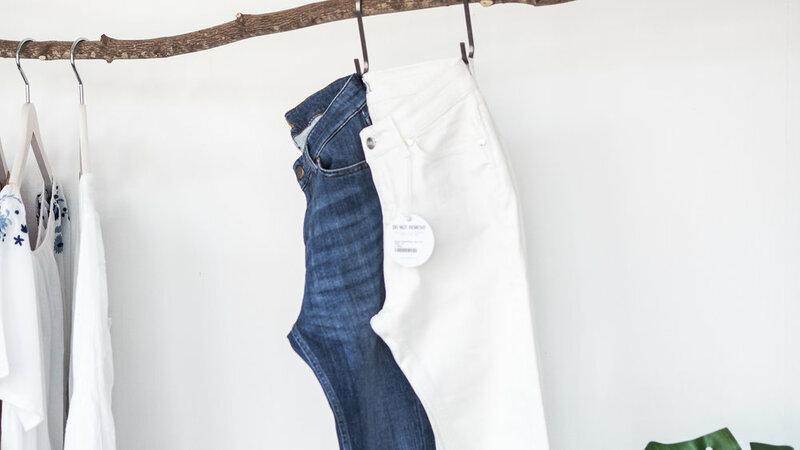 This applies whether that’s a pair of jeans that you will wear every day, a candle that you light each night once the children have gone to bed, or a statement necklace that transforms any outfit you wear. I believe in having fewer things, but things that you will love today and treasure forever. So the idea behind Hero was to curate a collection of everyday items that we all need, and to elevate them into something special to be relished – a way of enjoying the little things. I had been a stay-at-home mum for six years before launching Hero and although I had a fairly standard ‘casual uniform’, I always wanted to make this as nice as possible. And if I had a notebook or box of matches, I wanted them to be really lovely. Enjoying my personal style and image always meant a lot as an expression of myself, so it seemed natural to extend this to my business. There are so many areas of our lives that are oversaturated - there is so much noise just through everyday living, that to visit somewhere calm and welcoming is a refreshing change, and that’s what I aim to achieve in Hero. So many things around me - I find inspiration in the local deli, magazines, a lovely pub or hotel, and in discovering new towns and new experiences. I’m also inspired by the services that other people provide which raise them above and beyond the norm, as I’m always striving to do things better and give people an experience that surpasses expectations. Blogging and social media offer a place where I can connect with a wider community than our local customer-base. I’ve found that being generous with your time and knowledge builds trust and loyalty, which means people come back time-after-time and enthusiastically move with you as the business evolves. I love creating interior spaces, and the Hero shop gives me the perfect backdrop. After experimenting with different colours and schemes, I found that, for me, white is the best for retail - it means that the spotlight is on your stock and it’s not detracted from by crazy interiors! The interior space affects how people feel, so the way that the shop is laid out is no accident. I’ve chosen strong, yet subtle colours for the front of the shop (the beautiful Calamine Pink by Farrow & Ball) offset with a charcoal wall inside. I like to be brave with style but not overwhelming, so there is no distraction from the retail area. We’re very lucky as our building is really old and full of character, so I’ve been sympathetic to this with the furniture, but have also created contrast by introducing contemporary pieces, with different textures to add warmth and comfort. It’s designed as a journey of discovery around the shop, leading from one point of interest to the next. I’m always working on discovering new brands and pieces to sell at Hero, and have a strict criteria. I love working with brands that have an authentic story behind them. I’ve travelled to Paris and Copenhagen in the past, and now use social media to find brands. There’s a balance between finding items that you love personally, and pieces that you know are going to be loved by everyone else. I am also conscious of quantities, and don’t buy too many of one piece so that people are buying something more individual. I love the exclusivity of finding a brand that isn’t over-distributed - it means I can keep offering collections that are original. Do you have a creative background? I’m completely self-taught. I had no experience of retail, fashion or design, but I have a strong eye for detail that is instinctive, so can visualise how things will look and work together. Over the past four years, I have honed this to become more confident in my ability to curate Hero’s collections. My main focus is always primarily on the physical shop - it’s really important to concentrate on what makes the business successful and then bolt-on the other parts which can then act to elevate it. Less is more! My approach is not about gaining more and more followers or lots of coverage. It’s about communicating clearly to the ones I have, on a regular basis. My email marketing list is the most important and powerful resource I have. I connect with customers and build relationships and loyalty, without selling. There are times of course, that I talk about products or workshops, but it’s more about inviting people to read about these and hopefully build excitement or intrigue. What are Hero’s favourite products or bestsellers? Our best-sellers are always the classic wardrobe staples – such as denim and cashmere, plus the Connock London Kukui oil beauty collection. Get the foundations of your business secure. Make sure you have systems and clear processes set up, so that the fundamentals of your business can be run with, or without you. This means you can then focus on being creative with your marketing and buying. When you’re buying, go with your gut instinct and don’t be led by fads or quick sellers. And be crystal-clear on your brand values and stick to them - it means that as you evolve, your audience will follow without confusion. Tell us about the Creative Gatherings held at Hero, they sound great! The Creative Gatherings are a really informal meet-up once a month for anyone who is in business, or perhaps working on a project that they hope may turn into a business one day. There’s no agenda, it’s simply a supportive get-together, to have a chat and a coffee! I’d like to develop this in the future to extend it to membership, and also invite contacts to use our co-working space that’s launching in 2019. Creative workshops at Hero have always been right at the heart of the brand, and the foundation of the community around it. Workshops provide the perfect platform for inviting people in and nurturing a relationship. When you bring like-minded people together, they want to share experiences and this is how a community naturally grows. I invite experts in social media, blogging and business to share their knowledge. Groups are kept really small and informal so that it’s easy to ask questions and chat. I think the digital world is brilliant, but I honestly don’t think you can beat sitting round a table with people and learning from them! Any future developments in the pipeline? I’m really excited about 2019! It sees the launch of the Hero co-working space. This is a welcoming space at the shop for creatives to enjoy and work for the day, or to hire for their own creative workshops. Find Hero at Nomads House, High Street, Stockbridge, Hampshire. For many of us creatives, the idea of stepping away from our computer screens and connecting to what we’re doing is something high on our wish lists, but is not always practical with looming deadlines and other commitments. Fine artist Jessica Ford (who also works as a illustrator and has designed everything from children’s books and packaging to advertising campaigns and fiction covers, as well as this year’s Valentine’s box for Godiva Chocolatiers!) has done just that and carved out time in her schedule to focus on her paintings. 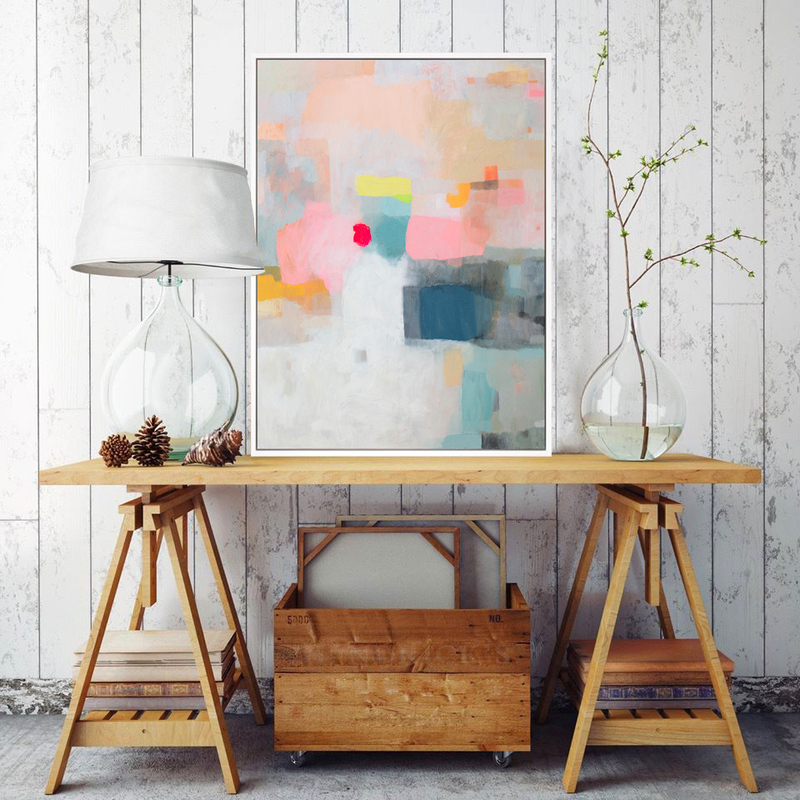 This ‘happy hobby’ has become not only a creative outlet, but also become another business - with her work now hanging in homes across the world (including in the home of social media influencer Zoella). 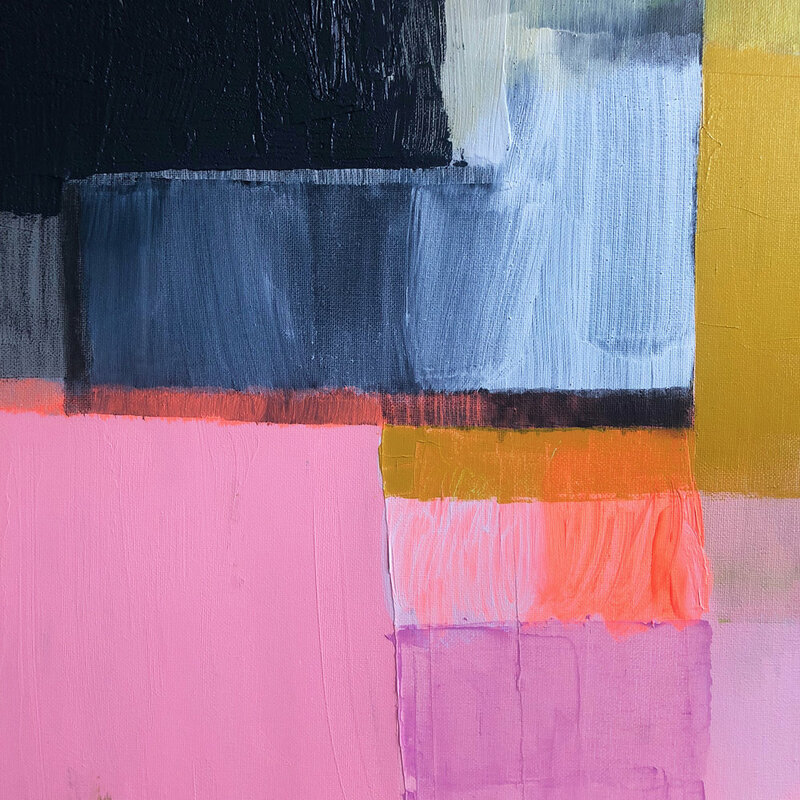 We chatted to Jessica to find out how she creates her abstract work, divides her time and tips for starting a new venture. Hi Jessica! Why and when did you decide to become a professional artist? I’d been working for ten years as a commercial illustrator (and still do, for half of the time!) but was dying to get away from a screen and get back to physically making art. I love having a varied working life, and still really enjoy the buzz of illustration commissions, but there’s something really exciting about making art for yourself, and not to a brief. Can you tell me a little about your work? How would you describe your style? My paintings and colourful, abstract pieces. When I started painting, I was really conscious that I wanted to have a happy experience in the studio, and I wanted the paintings to feel joyous and light - and not depressing. I’m not interested in digging around my soul for melancholy! I want the owner to feel positive when living with my paintings in their home. They’re very easy to live with. The whole process for me started out as a happy hobby, that wonderfully evolved into something much bigger. That’s so lovely to hear! How do you go about creating your work? I like to work on quite big canvases. Strangely I find working on smaller canvases much more challenging! I use acrylic paint, gouache, and graphite pencil. I achieve the different textures by using different mixing mediums. I’m a big fan of a palette knife! I’d probably make a great plasterer! Which paintings have been your most popular? Why do you think that is? I have three prints that sell extremely well: ‘Brood’, ‘Lark’ and ‘Dusk’. I’d say the number one favourite has been ‘Dusk’. I’ve had so many enquiries about that painting, I could have sold it ten times over. Ironically it was on sale for over 6 months, appeared in different galleries, and then as soon as I sold it, the enquiries came piling in. Always seems to be the way! Doesn’t it just? Hard question, but do you have a favourite? My favourite is ‘Brood’. It was such a favourite that I decided to keep it and it now hangs in my bedroom at home. Again, I’ve had so many offers from people wanting to buy it, that it’s been quite tough to stay firm and not sell, but I’m glad I haven’t. Some things are worth more than money. I’ve lent it out on photoshoots on various occasions, so it’s travelled around a fair bit, and even appeared on one of the room sets at The Ideal Home Show this year. That’s exciting! Where do you create? Does your location inspire you? I have a little, cosy studio in Hove, East Sussex. It’s pretty teeny, but it has a big window, which as all artists know, is the main consideration with taking on a space! I’m very close to the sea, which is always really inspiring! And I love Hove. There’s such beautiful architecture everywhere, and lots of creative people live here. Unfortunately I will be leaving this studio soon, as the developers are moving in and turning the workspaces into flats. I do fear for the creative people of Brighton and Hove, as this is increasingly happening, and it means there’s no longer affordable studio space left. A lot of my artist friends have already left the area due to the rising costs, so the future is looking a bit uncertain. I divide it up doing my illustration work half the time, and then depending on what my deadlines are looking like, I’ll disappear downstairs to do some painting. I’ve been really lucky that my painting studio has been in the same building as my illustration studio all these years. I can pop between the two, often when I’m waiting for a layer of paint to dry! So handy! You use Instagram for your business - how does this work for you? Instagram has been amazing for me. It’s the only social media platform I use for my painting, as I only really use Facebook for personal use, and Twitter... I’ve never really loved at all!! I’ve sold lots of paintings directly to customers through Instagram, and then it’s been such a buzz to see the paintings in situ, popping up on my client’s feeds. It’s brilliant to be able to communicate directly with your audience. One of my paintings has ended up in a home in Australia, so I’m thrilled the reach of social media travels so far. With already having a successful career in illustration, what tips would you give to those of us looking to start a new venture? Just start! I talked about painting for years, tentatively planning, dreaming, wishing. Two years ago, I made the decision to properly carve out time in my schedule to commit to it, starting with Friday being my ‘official painting day’. I really believe that it was that New Years resolution that propelled me forward. Sometimes these things just need proper time to grow and to be able to get off the ground. It was pretty exciting when Zoella bought one of my paintings. It frequently pops up on her Instagram, or in her videos. Last year I had a lovely feature in Breathe magazine, and I’ve had loads of lovely support from fab interiors bloggers, such as Sophie Robinson, Little Big Bell, and Emily Dawe. They’ve been so great at featuring my work and helping to raise my profile, which has been such a gift. That’s so fantastic! So, what's next for you? In my dreams I’d actually love to move into interior design. Perhaps own a shop. Be a stylist. Why are there not more hours in the day! I’m such a career glutton! Haha. I’d love to create a lifestyle brand that brings together my love of painting, colour and interiors. Change into my painting clothes, pop on my favourite podcast and make sure I have a cup of tea by my side! It will all work out! I remember the deep seated fear of leaving university and heading for London to kick start my creative career, armed only with an art degree and not able to do anything else (I couldn’t even work a computer! ), and thinking "NOW WHAT?!!" I'm so happy that my creative career actually panned out and I'm able to create art for a living. I feel really lucky. See more from Jessica at www.jessicaford.co.uk. There is a hashtag on Instagram called #ihavethisthingwithglasshouses which has over 4000 images highlighting the beauty of glasshouses, and rightly so. I personally find much serenity and peace when wandering around the paths of these botanical spaces in the shadow of towering tropical specimens or quietly examining an unusual cacti collection. There is something undeniably appealing about their opaque walls and ceilings and the atmosphere created by so much living and breathing beauty. For those times you strive a calming influence but can’t quite justify a glasshouse visit, then turn to these beautiful new books, both exploring the uniqueness of greenhouses around the world. Botanical by Samuel Zeller is essentially a photography book, featuring a foreword by journalist Rachel Segal Hamilton followed by a few words from the photographer, before showcasing the body of work Zeller has created on his journey visiting glasshouses across Europe. His focus is on capturing how the plants enclosed within are seen through the panes of glass, resulting in a beautiful collection of images, many which almost look like paintings. Samuel has documented moments within these spaces, like when the light is perfectly dappled, when structural plants have cast striking shadows or the moody, misty effect caused by condensation. This book has made me look at glasshouses from a different perspective - observing the beautiful shapes and patterns created by the combination of plants and their environment. Being a fan of the much loved, plant-filled Instagram feed of Haarkon, I was excited to see the launch of their first book - Glasshouse Greenhouse. With over 200 pages of greenery goodness, you will find architectural glasshouses through to cobbled together tiny greenhouses, from Oxford, UK to Adelaide, Australia. The variety throughout the book keeps you turning; I love the juxtaposition between the monumental spaces found in botanical gardens around the world with the small private collections owned by individuals. In the words of India and Magnus themselves: ‘You may find the odd factual snippet here, but it’s much more about capturing the sentiment of the places that we visited, the essence of the greenhouses and the passion with which they have been created.’ There is a real sense of going on this journey with the couple - almost like a travel book which just happens to discover some of the most beautiful glasshouses around the world. One of my favourite things about publishing a magazine is working with so many talented people. Our contributors really are the lifeblood behind our pages, with their fabulous photography, styling, words and illustration. This month we meet three ladies who have all contributed to our AW18 issue which has just published…. I would be working with horses. My first degree was in Equine Business Management so I think I would go back to that. Top tip for aspiring interior photographers? Keep it simple - no funky angles! Might seem obvious but connect with people! At the start nobody will know who you are so change that and foremost BE NICE AND PROFESSIONAL, you never know who you might meet on the way that might become influential to your career as a photographer! After my latest visit there, I would have to say CARO Somerset for a dose of beautifully designed products for your home and Magalleria in Bath for the independent magazine lovers! Tulips in large quantities! Understated and so beautiful and there are so many varieties and colours to chose from; and they always make me think of Spring. ZZ plant and mine has finally grown a new shoot! I would say Bristol. For me, it's a perfect city for short day trips. I always come back home full of ideas for new projects. I love all the quirky shops and creativity that flows throughout the city. If you weren't a illustrator what would you be? I would probably be doing something similar! Maybe a prop maker or a cake decorator! @phoebewahl for her beautiful and heartfelt illustrations. Top tip for aspiring illustrators? Create the kind of work you want to be hired for. I love shopping small & handmade so Etsy is my favourite place for that! My Monstera that sits next to my desk! If you weren't a stylist/writer what would you be? When I was younger I always wanted to be a marine biologist and with the worrying plight of our oceans I would love to revisit that dream and try to do something to help. @kathryn_davey who produces beautiful hand-dyed Irish linens using natural dyes. I am hoping to do one of her workshops next year to learn how to do this properly having experimented with blackberries this summer. Top tip for aspiring stylists? 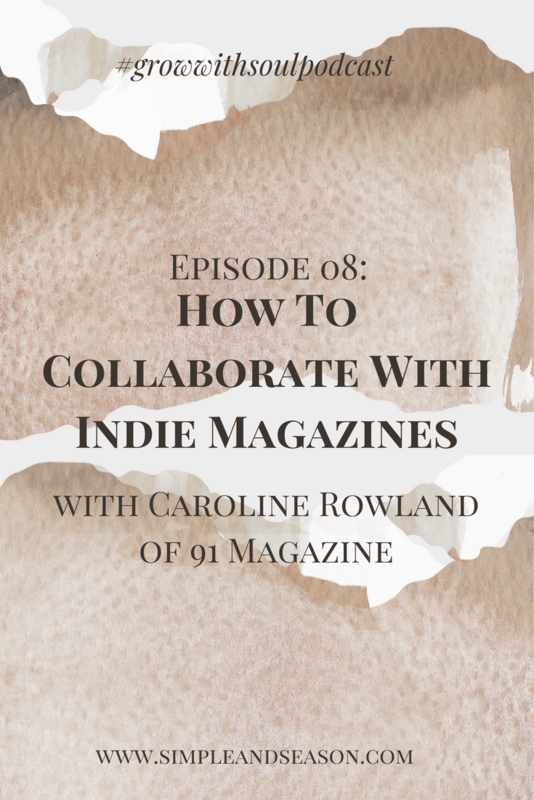 Find your style then look for like-minded creatives to collaborate with. Offer to help assist on shoots to learn what goes on behind the scenes and to make contacts. Look to the natural world for foraged props to keep your costs down. Always be on the lookout for inspiration- I find that echoing the changing seasons helps me to produce differing work throughout the year. This time of year I am drawn to textures, dried flowers and grasses and pops of mustard against a natural backdrop. Ooh another really tricky one. I have lots of faves which are all small indie shops, but I particularly love And Hobbs (@_andhobbs) in Shere which is sited in an old forge. 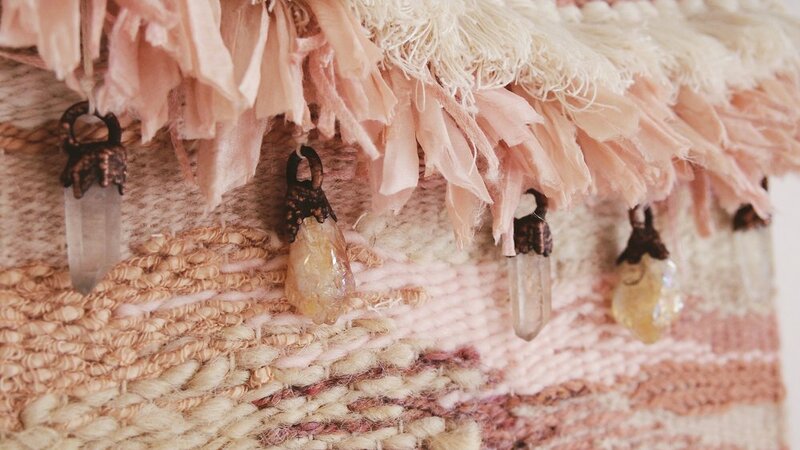 Owner Libby is so talented and has curated an absolutely beautiful space full of gorgeous homewares, she also collaborates with local creatives to host workshops. I have always loved the understated chamelaucium (wax flower) for its pretty tiny flowers and it’s longevity. It also dries really well. That said, I confess to being a bit swept up in the tide of dahlia love at the moment thanks to @tamsynmorgans beautiful feed. I planted some white ones this year that pop beautifully at dusk as I look out into the garden through the kitchen window. Technically a tree, but I will never tire of eucalyptus for its beautiful silvery green hue and incredible scent. I have planted some in my garden and it brings me great pleasure to cut branches to bring indoors or use for styling work. It also grows brilliantly speedily. Top tip: hang a bunch in your shower for an uplifting start to the day. Vancouver will always have a special place in my heart. I lived in Canada for a year in my early twenties and adored the laid back healthy lifestyle, the foodie scene, the creative vibe and the fact you could be on the beach one day and in the mountains the next. It was amazing to have the benefit of city life, but to feel so closely connected to breathtaking nature. I also adore Copenhagen, where my husband proposed! 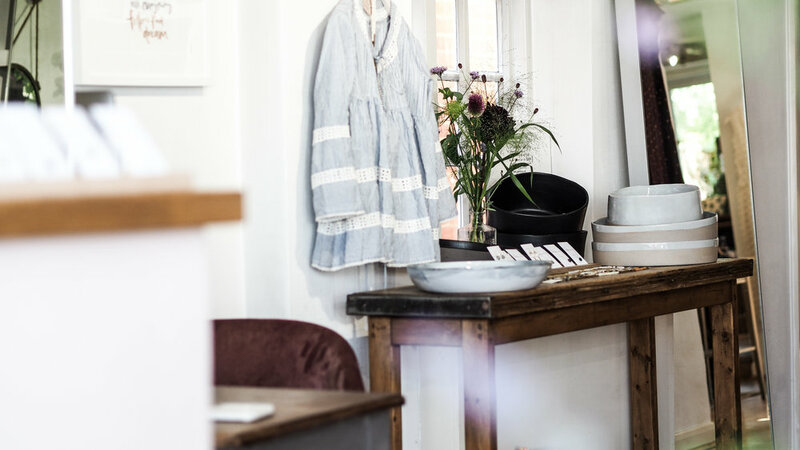 Located in picturesque Alresford close to the historic town of Winchester in Hampshire, Long Barn is far more than just a carefully curated store filled with the wares of craftspeople and the farm’s renowned lavender - it’s a destination waiting to be explored, with a cafe and garden too. Hi Richard and Jane, first thing’s first: when and why did you decide to open Long Barn? Long Barn started with Richard’s love of lavender and desire to create a range of products that do justice to this wonderful plant. I (Jane), was a former marketing director, and joined Richard in the early days and together we created Long Barn as it is today. Our home, garden store and cafe has been a favoured destination in Alresford since 2009. We wanted to create a shop which put the joy back into shopping and we like to think of our Barn as a beautiful place to come and enjoy a couple of hours relaxing with friends and family - somewhere we’d like to go ourselves in our free time! What had you both done before? Did any of these skills help? Richard’s background is in accountancy and teaching but from the age of ten his heart has always been devoted to plants. The knowledge of accountancy is of obvious help; the teaching was part-time and helped greatly in setting up the business and gradually moving to full-time as Long Barn could sustain a salary. My background is in marketing, originally with a drinks brands – both alcoholic and tea, later with olives and baby food. Large corporate employers taught the need for rigour in reporting and margin; smaller employers required a really grounded approach. Both have been useful in the growth stages of Long Barn. Long Barn is a destination - with a shop, cafe and gardens - did you always want it to be somewhere people could enjoy spending a couple of hours? Long Barn has grown so much, from a much loved stall at London farmers markets to our first beautiful little store on the high street to now, a 3000+ square foot standalone oak barn surrounded by over 5000 lavender plants. When we first moved to the barn, we wanted to create a convivial atmosphere where people could spend quality time – in a way, the kind of place you take visiting friends after Sunday lunch. Our vision has always been to grow with our audience and last summer has seen the original barn extended. We gathered a raft of craftspeople – designers, artists, furniture makers, sign writers, builders and carvers, to create a convivial space to tell the Long Barn story. You will find gardening, homewares, gifts, vintage and food all now under one, slightly longer roof! How would you describe Long Barn’s style? Our style reflects seasonal trends to some degree, but we tend to take our cues from the splendour of the English countryside in the main. We believe in a simple, honest approach to design, where quality and beauty are intrinsic. For us home is a place to express your tastes and really enjoy your time - be it through dressing a table for an impromptu lunch with family to creating a garden that looks stunning in every season - our barn is the place to discover a carefully curated collection of beautiful home and garden goods. We like to think of Long Barn as a one stop shop for the considered home. You're passionate about involving local craftspeople - can you tell us a little about the wares of a few you stock? We love to champion craftsmanship both at home and away and have always been passionate about products with purpose. By sharing handpicked handmade goods with our customers we are linking to our values, which are rooted in provenance and heritage. We are proud to have a assembled a collective of makers to delight our customers with. Highlights this season include Rosie Brewer, who trained at Camberwell and makes exceptional hand turned, sustainable kitchenware. Instagram is a fantastic tool for finding interesting and up and coming brands as well as sustainable makers and talented craftspeople. In addition we go to all the shows and have a few trusted suppliers we always turn to for our core range. We also get approached quite a bit! A lot of our customers are the creative sort and love to share with us their latest finds. This August, we invited designers, makers and food producers to showcase their wares at our Barn for a chance to be stocked for the Christmas season which proved a wonderful way to find new creative talent. 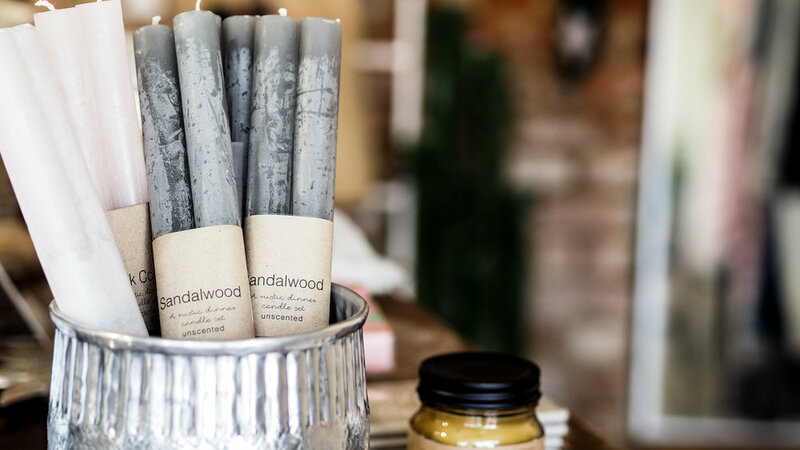 As well as stocking artisan makers, you also create your own lavender products too. Why do you love lavender so much? At the root of Long Barn is a true love of lavender. All of this came from Richard’s love of gardening and history. An article in a magazine about the history of English commercial lavender-growing in the 18th and 19th centuries sparked the classic ‘light bulb’ moment in Richard. From that moment he knew that he wanted to farm lavender. Selling lavender products at London farmers’ markets had a curious link to the past which really interested him. At Long Barn we sell the range of lavender products that Richard created with the help of aromatherapists, soap-makers and perfumers. On the plant sales terrace, alongside old fashioned rose varieties and other classically English garden plants we sell one of the most extensive ranges of lavender plants in the country. Richard loves introducing customers to lesser known varieties such as Folgate, Grosso and Sussex. What do you enjoy most about running the Barn? Greeting our lovely customers everyday! It sounds trite but really, they create the warm ambiance at the heart of the barn as much as we do. Even when we’re busy there’s always an opportunity to take a moment to have a nice chat and pass the time with a friendly face. What has been your Long Barn career highlights (so far!)? Too many to mention! However, this year we were finalists for Best Store Design at the Drapers Independent Retailers awards. Always a highlight in the industry calendar, this award recognises inspiring and thriving independent retailers from across the country and we’re thrilled to be included in such good company. How have you balanced running Long Barn - given that it's a cafe, store and gardens? Usually people can only manage just one! As anyone who has run their own business will say, you wear all sorts of hats during any given day! We have each worked in almost every part of the business at various times, and can both make great coffee, whip up a spreadsheet and tend to the plants with aplomb. However, at this scale it would be impossible to cover everything just ourselves and we are joined by a fantastic team of shop and café staff; cooks, baristas, merchandisers, designers, gardeners, site and maintenance staff, bookkeepers and stock controllers. We are a sum of our parts, and it’s down to a lot of very dedicated and talented individuals to make Long Barn what it is: a really fantastic place to be. Do you have any top tips / advice for those thinking of starting their own lifestyle store? You have to love retail! And the principles of good shopkeeping. We feel that despite an increasingly clicks driven market, physical shops continue to thrive as hubs of enterprise, experience and community, but only if they are really good. What makes a really good shop? It’s a place that people feel something for. It’s a place that serves as a beacon, the go-to destination for a unique and interesting experience. Shopping is an experience first and foremost, and for most people, a leisure pursuit. So consider what makes somewhere a place people choose to spend precious time, as well as money and come back again. 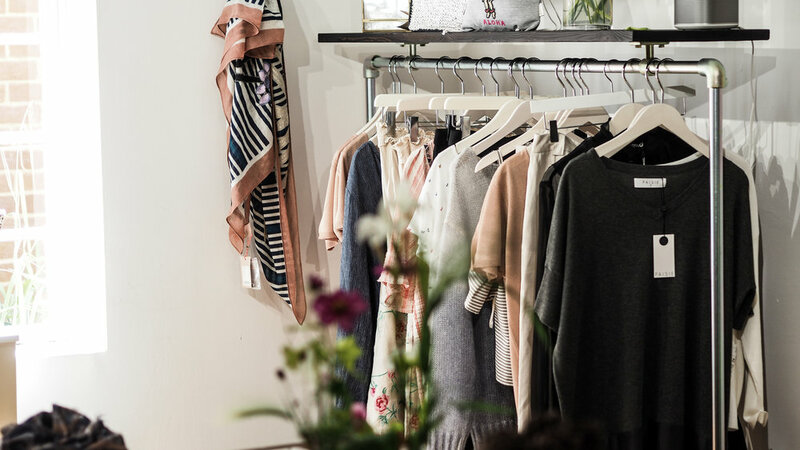 It tends to be shops that offer a distinct point of difference - a sense of discovery through creative display, beautifully edited buying, exceptional service, a convivial atmosphere - make a destination standout from the rest. Oh, and you have to love people, that’s a given! Autumn's now here and we bet it's especially beautiful at Long Barn - what’s happening over the coming months? Autumn is a short but sweet season here at Long Barn - we invite our customers to join us in welcoming the most mellow months of the year. Traditionally a celebration of abundance, harvest is the time to share in the spoils of the summer with loved ones. Stop by our relaxing cafe for a good catch up with friends over coffee and homemade cake or stay longer and enjoy a hearty lunch with family - it’s always a joy to be able to come together and delight in the tastes of the season.